Epictetus (ca. 50-ca. 135) was a Greek philosopher who believed that man should concern himself only with what he can control and suffer what he cannot influence. Epictetus was born a slave in Hierapolis, Asia Minor. Early in life he was brought to Rome and, while still a slave, was sent by his master Epaphroditus (probably the famous freedman of Nero) to study under the Stoic philosopher Gaius Musonius Rufus. Some time after the death of Nero (68) Epictetus was freed. He had a physical disability from an early age, and one ancient source suggests that this was the result of brutal treatment received while he was a slave. Perhaps as a result of criticizing the tyranny of Emperor Domitian, Epictetus along with other philosophers was expelled by the Emperor, probably in 89. He settled in the town of Nicopolis in Epirus, and soon people from all over the Roman world were coming to hear him. One of these was apparently Emperor Hadrian, another was the young Arrian, the future historian. Epictetus seems to have lived in great simplicity and abstemiousness. Whether he ever married is in doubt; one late source says he married in old age so as to have help in bringing up a child whom its parents were about to abandon. 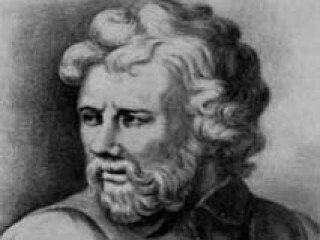 Though one source says that Epictetus wrote a good deal, nothing is extant; instead there are four books of Discourses, written by Arrian from lecture notes, and a synoptic version of his basic teaching, called the Manual, also written by Arrian. Epictetus's philosophical and religious beliefs, drawn from Musonius Rufus, are a combination of Stoicism and Cynicism. Man can achieve complete freedom (specifically from pain, fear, and passion) if he confines his desires (positive and negative) to areas laid down by nature and by what lies within his power. Anything outside of these limits should be "indifferent" and of no concern. The world is under the control of providence, and the good man will consequently acquiesce in all events beyond his control. Within the specific realm of "what is in his power," man is free in an unqualified sense and completely responsible for his own moral progress or regress. Any harm done to his mind, or real self—the body is of negligible importance—is self-inflicted; in this sense he is the master of his fate. Percy E. Matheson edited and translated, as well as wrote the introduction for, Epictetus: The Discourses and Manual (trans., 2 vols., 1916). There is a short biography of Epictetus in Eduard Zeller, Outlines of the History of Greek Philosophy (1883; trans. 1890; 13th rev. ed. 1931). For the philosophical background see Ludwig Edelstein, The Meaning of Stoicism (1966). View the full website biography of Epictetus.